Leveraging cloud technologies, media content is quickly distributed across the internet. Learn how to setup Zoom Commander to take full advantage of the latest cloud synchronization technologies. Signup to Dropbox, Download and Install the Dropbox client software on the Zoom Commander PC. Install the Dropbox client software on every PC running Zoom Presenter. Remember to use the same sign-in user name on all PCs. 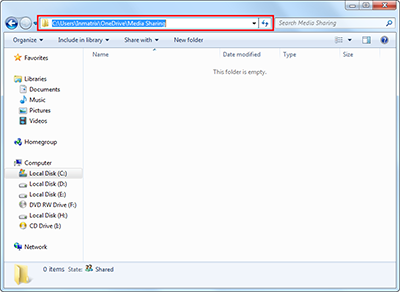 If multiple Dropbox accounts are used, an extra step is required to share the 'Media Sharing' folder between the accounts. This action is performed on the Dropbox web site. Create a new 'Media Sharing' folder inside the Dropbox folder. Using explorer (screenshot below) get the 'Media Sharing' folder's full path by opening the new folder and clicking the path box. 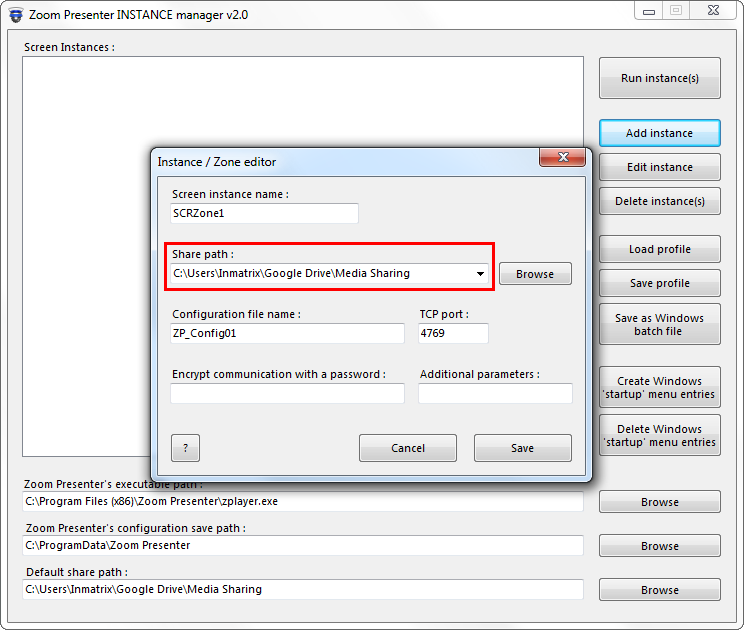 The last step is using the Zoom Presenter INSTANCE manager helper application to specify the 'Media Sharing' folder's full path as the 'Share path' for each instance of Zoom Presenter. The 'Share Path' folder is used by Zoom Commander to remotely manage media content accessible by PCs with Zoom Presenter installed. For example, creating playlists and scheduling media playback. Signup to Google Drive, Download and Install the Google Drive client software on the Zoom Commander PC. 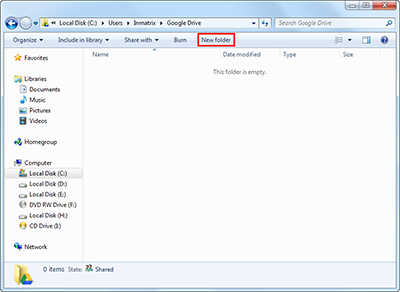 Install the Google Drive client software on every PC running Zoom Presenter. 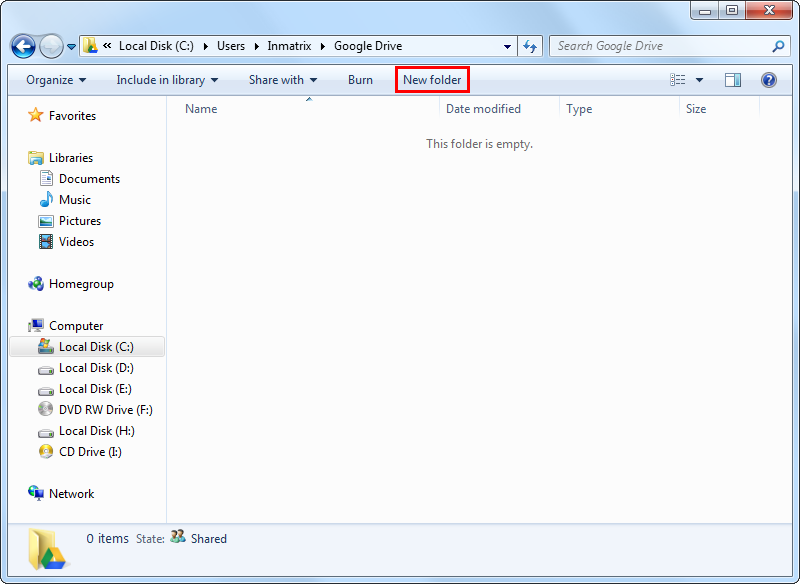 If multiple Google Drive accounts are used, an extra step is required to share the 'Media Sharing' folder between the accounts. This action is performed on the Google Drive web site. 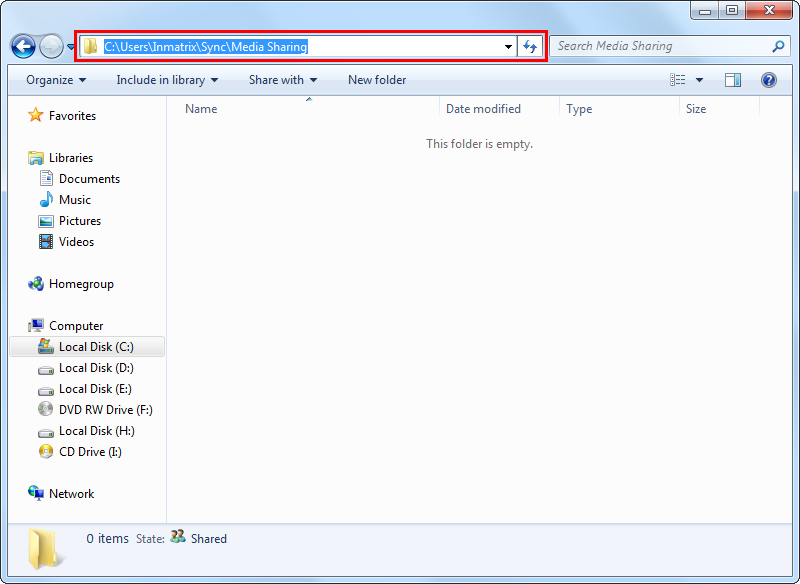 Create a new 'Media Sharing' folder inside the Google Drive folder. Signup to OneDrive, Download and Install the OneDrive client software on the Zoom Commander PC. Install the OneDrive client software on every PC running Zoom Presenter. If multiple OneDrive accounts are used, an extra step is required to share the 'Media Sharing' folder between the accounts. This action is performed on the OneDrive web site. Create a new 'Media Sharing' folder inside the OneDrive folder. Download BitTorrent Sync, and Install on the Zoom Commander PC. Install the BitTorrent Sync client software on every PC running Zoom Presenter. 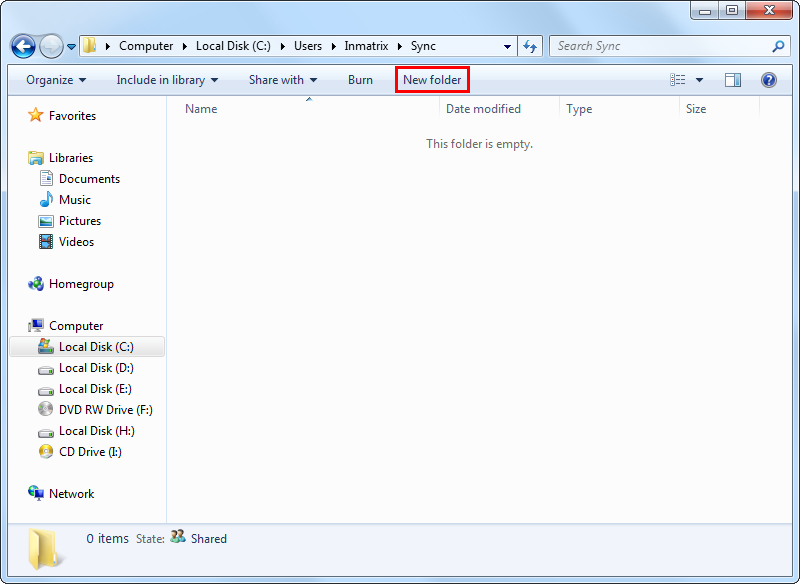 Remember to use the correct secret key of the Sync folder you are synching on all PCs. 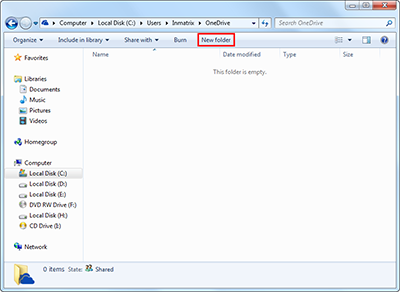 Create a new 'Media Sharing' folder inside the Sync folder.